Summer is in full swing, and the weather is warm and sunny in Jackson Hole. 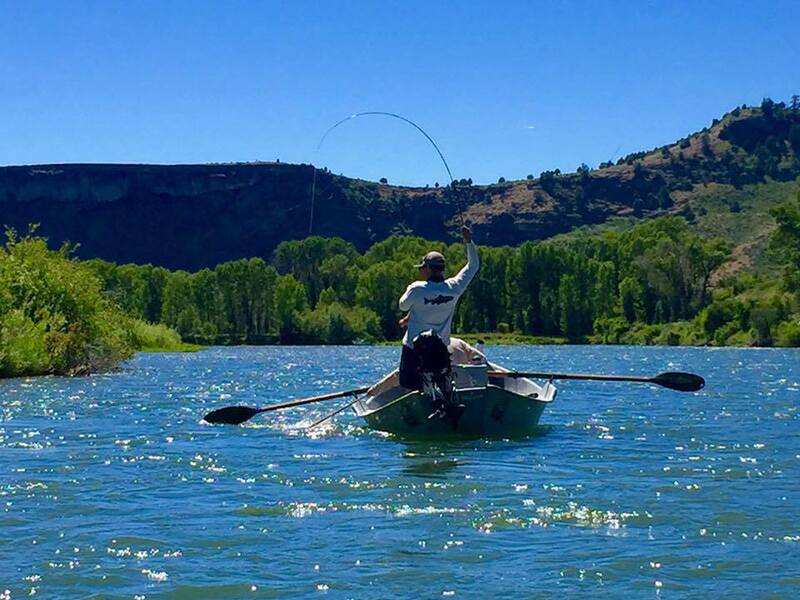 As August approaches, there is no better way to spend a day than on the river, and the fish continue to eat well. Stoneflies, pmd’s and caddis have all been working well. A dry-dropper rig is a great way to start in the morning as the temperature warms up. The comforting sound of grasshoppers on the banks began in late July and are now starting to see some interest if you are out on a warm and windy afternoon. Give us a call at 307-734-9684 to join us for a day of fishing and happy August angling! We are all thinking about the folks being affected by the Cliff Creek fire just outside Bondurant Wyoming. We regularly drive through Bondurant on the way to The Green all spring and early summer, so seeing this fire encroach on this beautiful town has us all on the edge of our seats as firefighters battle to keep this community safe. Everyone keep your fingers crossed for a little rain to knock the flames down! Despite the fire to the south, The Snake is still fishing strong. Nice cutties continue to feed on big chernobyls throughout the day. Our guides are reporting finding fish on riffles, drop offs, seams, as well as fast banks. Throwing a mayfly dropper off the back of your dry can also be a good way to turn up some fish if the activity slumps off at all. Call the shop to book a trip with us! Slots are filling up fast as people are coming to the river to still get outside with the smokey atmosphere. Our guide Will had a great trip with Dan and Anne from Minnesota today. It was a gorgeous day in Jackson, and the dry fly fishing was phenomenal. Will reported that they were finding really nice fish along banks, as well as in the riffles. Dan and Anne had never fly fished before today, but they picked it up fast! They did quite well fishing with big dries, such as chernobyls and parachute adams, and smaller mayfly droppers like prince nymphs and copper johns. 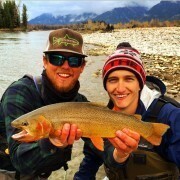 Give us a call to get out on the water and enjoy some killer dry fly fishing with one of our great guides! 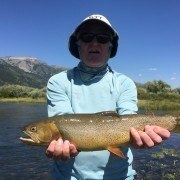 The fishing in the Jackson Hole region has been quite good over the past few days. 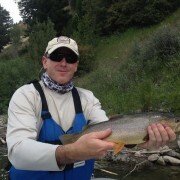 Fish are eating big dry flies on The Snake, South Fork, and Green River. This is the time of year we all dream for throughout the winter. Go ahead and put those bobbers back in your pack! On The Snake, our guides are having great luck using big dry flies such as hoppers and large mayfly patterns. 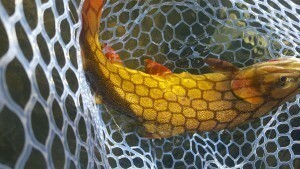 We are finding many of the big fish are coming back to the rivers now that the spawn is over in our tributaries. These fish are hungry and looking up! On the South Fork, big bugs (AKA salmon flies) are winding down, but PMDs and golden stones are quite thick and fish are stacked in the riffles. 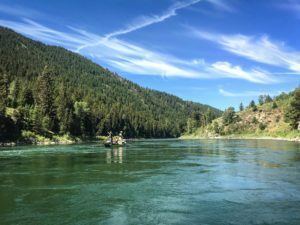 If headed to The Green, the water is dropping fast, but our guides are still bringing great reports of big fish eating both drake and foam patterns. Now is a great time to book a trip and get out on the water. Call now to book a trip! https://grandfishing.com/wp-content/uploads/2016/07/IMG_1065-e1468215332134.jpg 3264 2448 Will Mook https://grandfishing.com/wp-content/uploads/2018/07/GrandFishingAdventures3-1-300x117.png Will Mook2016-07-10 23:36:412016-07-10 23:36:41Fishing Is On! Warm temperatures and occasional rainy days have left The Snake and Green Rivers quite muddy. Although this means the fishing is not great right now, these weeks of flooding are crucial to the health of our local rivers. High flows flush our rivers of excess sediment, and clears our the river beds to allow for better insect habitat and spawning grounds. Fortunately, we still have some great options for fishing! Our private access on Cottonwood Lake allows us to take folks out to learn a bit about lake fishing. We have been catching some really nice cutthroat and lake trout on streamers, dries, and nymphs. If a float down the river is what you are really looking for, still give us a call. We can always get you on the South Fork of the Snake for a full day of fishing on clear water! Fishing on The Snake River is still going strong. Unseasonably warm temperatures and sunny days this mid October have provided us with some phenomenal fall fishing. 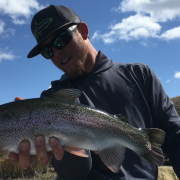 The water releasing out of the Jackson Lake Dam has settled to our wintertime flows, and the fish are fired up, putting on the pounds for our long winter here in Jackson. Our guides are still finding fish looking up for blue wing olives on slow flats and riffles. 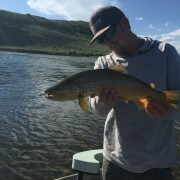 In between these spots, we are still finding fish eating big foam dry flies as well as small dropper dries and nymphs. We hope this nice weather and good fishing continues for a bit longer, allowing us to get more days on the water! The best fishing of the year is upon us. Nights are cool, the days are hot and the Cutthroat know that winter is just around the corner. Guides are reporting that the fish are keying onto smaller patterns. Where size 10-14 parachute adams and similar ties have been the ticket, its time to go smaller. Best success will be found with size 16-18 flies. If conditions warrent these smaller patterns can be tied behind another larger bug. The bigger fly is up for depate as some are using size 14 dries while others are throwing big foam attractors up front. Flows are to continue through the week with the first scheduled reduction being October 1st. 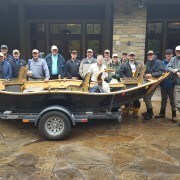 Every year this crew makes its pilgrimage to Jackson Hole in September for the best fishing of the year. 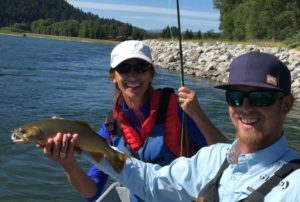 Even though they timed some cooler wet weather this year the Insulate America team fished it hard every day and crushed it on streamers and on size 10-14 mayflies. 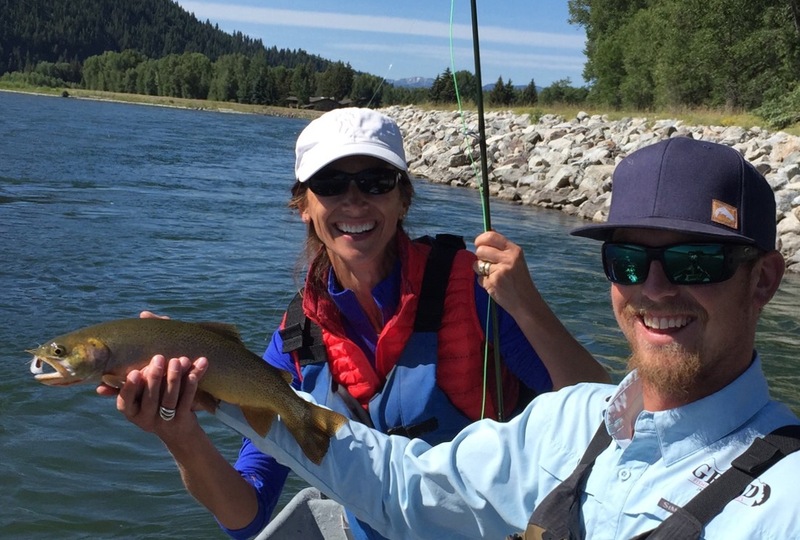 The dry fly fishing on our private access to Fish Creek continues to be extremely productive. Longtime GFA client, Rod Moorhead, had a spectacular day and landed some real pigs all on the surface. 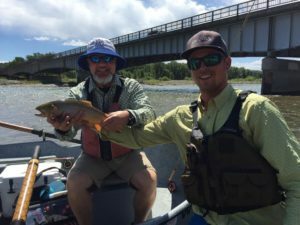 Visit the Wyoming Game and Fish website to obtain yourself a fishing license! © 2015 Grand Fishing Adventures | Grand Fishing Adventures is an equal opportunity provider.